Katie Hampson completed her PhD at Princeton University in 2007, where she established a contact tracing study to investigate rabies transmission dynamics in northern Tanzania. She returned to the UK on a Wellcome Trust Fellowship and continued her rabies work with new field sites in Southern Tanzania. She joined the University of Glasgow in 2009 with continued Wellcome Trust support. 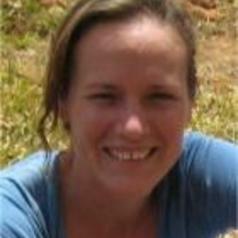 She leads field research in Tanzania and works with a network of collaborators on fundamental and operational research. She is interested in the ecology of infectious diseases, particularly rabies, with the aim of understanding infection dynamics across spatial scales and the impacts of control efforts. She uses a combination of detailed field investigations, vaccination interventions and modelling. - Impacts of population structure, demography, and geography on spatiotemporal dynamics. - Vaccination strategy and surveillance design.